Banksy’s Weston Super Mare derives its title from a small township on the seaboard region of Somerset England, and would later serve as the site for Dismaland, a historical, experiential installation by Banksy that would bring in over 150,000 visitors and nearly 20 million dollars in revenue to the seaside town. The image is rumored to have first been exhibited at a restaurant in the artists native town of Bristol nearly three years before making it to print format in an edition release of 750 prints. Pictured on the left is the seaside town of Weston Super Mare prior to Banksy’s Dismaland exhibition. 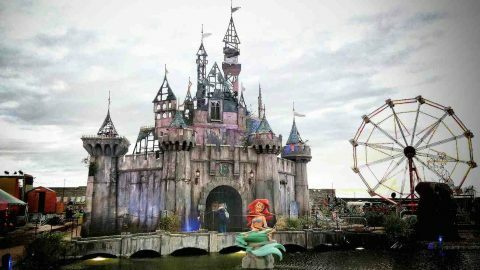 Installation shot from inside Banksy’s exhibition, Dismaland which took place in Weston Super Mare; a town of the same name as the above print. Depicted in the print is a man sitting blissfully unaware on a park bench, not seeing the immediate danger to his left that approaches. Western Super Mare could be commenting on the dangers that surrounds us at all times – that we are not safe even as we sit on a park bench. We interpret this print as a reminder of the threats we overlook if we’re not careful and to live with both eyes open. What does Western Super Mare mean to you? If you would like to sell your Banksy art, Banksy’s Weston Super Mare is a sought after print in the UK that is quickly gaining popularity with collectors in the United States and abroad. 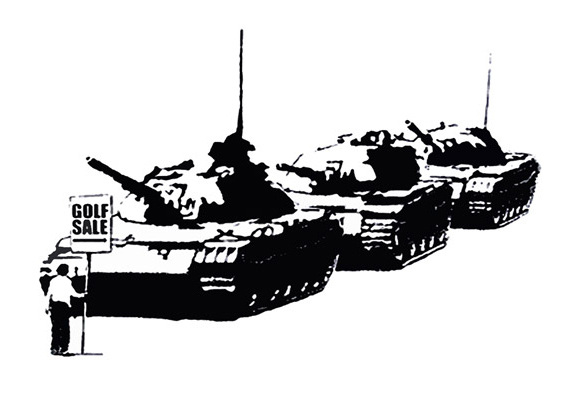 Hexagon Gallery is the leader for Banksy art sales in the United States. 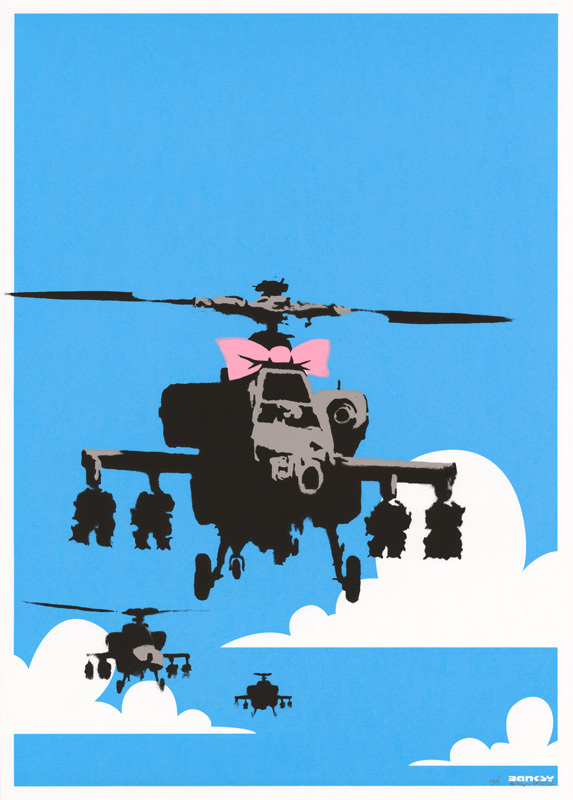 To sell or buy Banksy art, please contact info@hexagongallery.com.